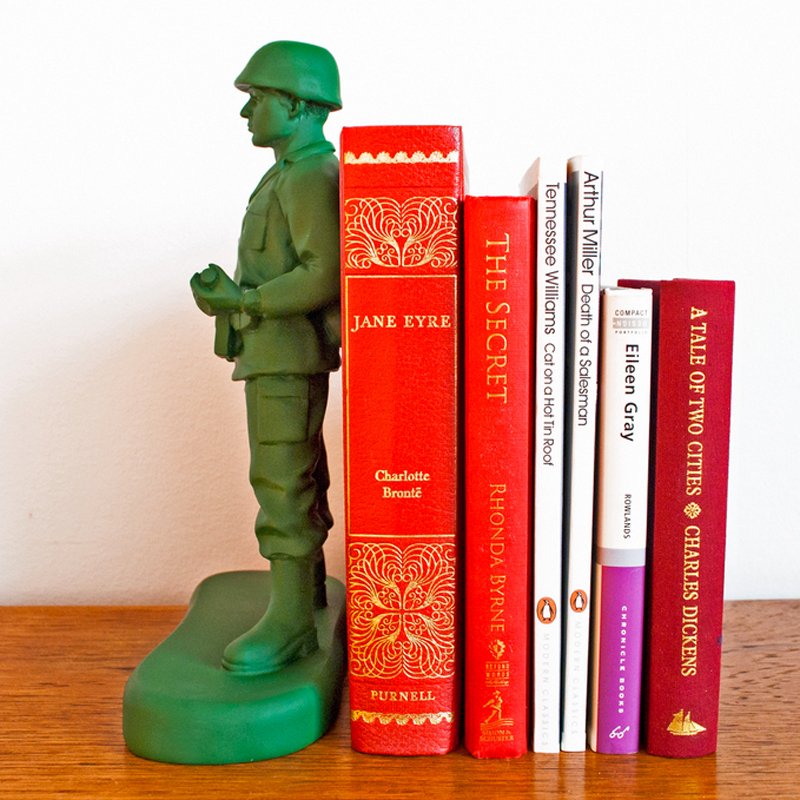 This ultra detailed Army Man Bookend will keep your Books on the shelf at full attention. 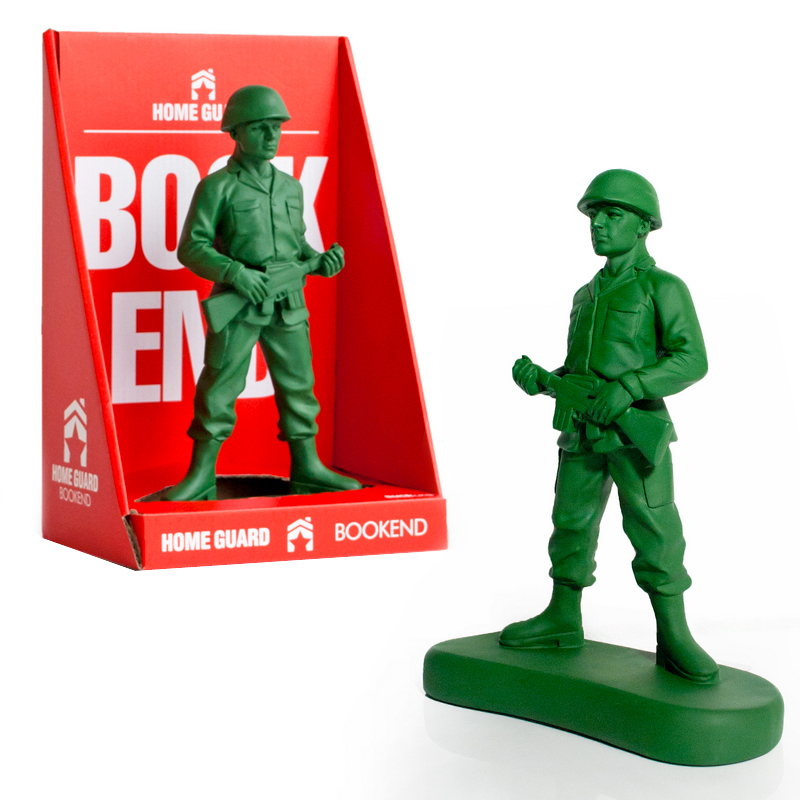 It's a sturdy accent to any library or office that'll make everyone want to play with their plastic Army Men once again. Before you know it, you'll be marching your troops over the credenza and staging base camp behind the fridge. Feature: - Made of plastic polyresin. Measures 7.6" x 7.4" x 4.5".